As many samples as an SD card can hold, you can trigger via velocity-sensitive pads on this cute little box. Photos courtesy Akai. Sometimes, there are designs that seem almost impossibly like an answer to a specific need. Let us illustrate. Wouldn’t it be nice to have a box that you could play, independent of a computer, that just let you mess about with samples directly from an SD card? And wouldn’t it be nice if it had MIDI jacks on it, too, and not only USB, so that you didn’t need the computer handy? 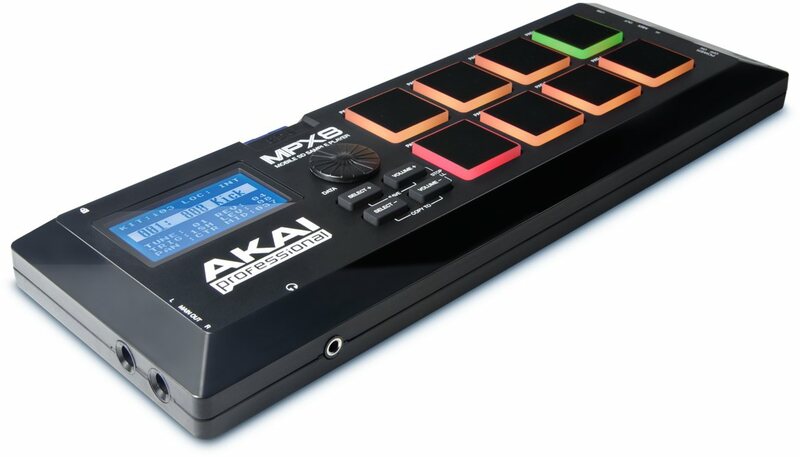 That’s the MPX8 from Akai Pro. It’s dead-simple, so you’ll do most of your sample manipulation away from the hardware. (There’s a free Mac and Windows sample editor for that.) The hardware itself only lets you adjust tuning and add reverb. But what you do get is a heads-up LCD display, and the ability to trigger up to eight sounds at once with eight pads with eight voices, all with velocity sensitivity. And you can call up those eight sounds from the SD card, so you’re limited only by the size of your SD card in how many samples you can have handy. Seems like a box that’s definitely not for everyone, but could be a godsend addition to some rigs for the people who want precisely this.